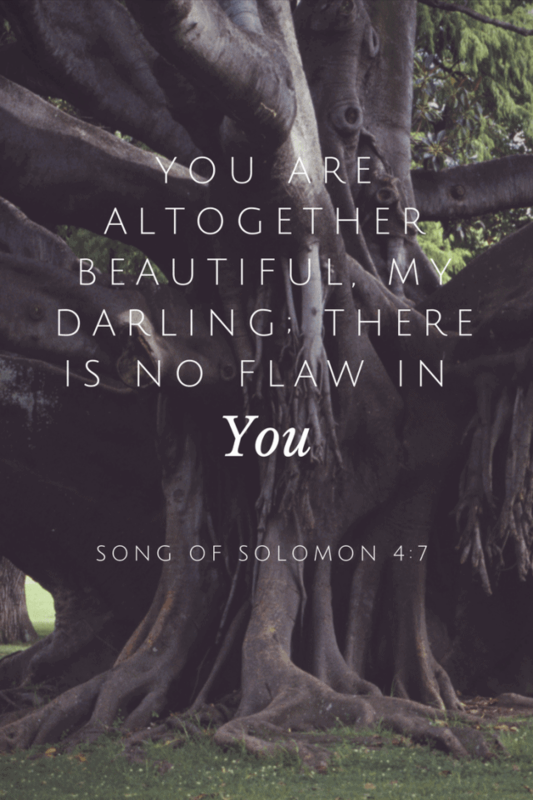 First question to you today: have you heard of The Well-Watered Woman blog? I’ve recently discovered it and have been reading it regularly. It’s SUCH a great blog for Christian woman who want to really live their lives for Jesus. I strong recommend checking it out! However, one of their blog posts, “Letting Go of Beauty” REALLY spoke to me. Liiike, sort of changed my life, reading-it-every-single-day kind of spoke to me. You can read the post for yourself, so I don’t want to re-write it. But, the gist of it is that as women (and probably men too, I just can’t speak for them. Since you know, I am not one 😊 ) we see all these beautiful things in the world and we feel like we NEED THEM NOW. A beautiful house? A beautiful body (you know this is my struggle)? Even just a beautiful sweater that some random person you don’t know on Instagram is wearing? We feel like we NEED THEM and then, when we don’t have them, we feel disappointed and sad. But, really, that need to grab and hoard beautiful things is a sign that what we really need is GOD – He is the AUTHOR of beauty. The creator of all the beautiful things in the world that we think we need to make us happy. What would it look like if we recognized that? If, during feeling that NEED, we stopped to think about where it comes from and let it point us back to God. What if we acknowledged that we think it’s a beautiful thing (nothing wrong with that!) but, then let it go. All that I (and you too!) am RIGHT NOW, is enough. I don’t need to get grabby and desire everything that I think is going to make me happier. I’ve had the “skinniest body” when I suffered from anorexia. Most DEFINITELY did not make me happy. I can’t say I am perfect. It’s not like I just feel SO HAPPY and never disappointed and have stopped comparison. But, it’s the active process of realizing I am doing it, and trying to flip the switch. Body obsession/comparison is MY THING. But, what is your thing? What might be the “beautiful things” in your life that you’re grabbing at, trying to fill that “God hole” in your life? Will you join me in acknowledging them, but, then letting them go? Let’s let those things point us to our beautiful Savior. I love the quote; beauty comes from within. My husband always tells me I am his cute little girl, while pinching a cheek. 🙂 Thanks for the link to the blog, and have a great week! That is adorable!! Have a great week Joanne! Thanks so much for this and for the link to well watered women. It was just what I needed to read today, what my heart and mind were longing for. I am so grateful.